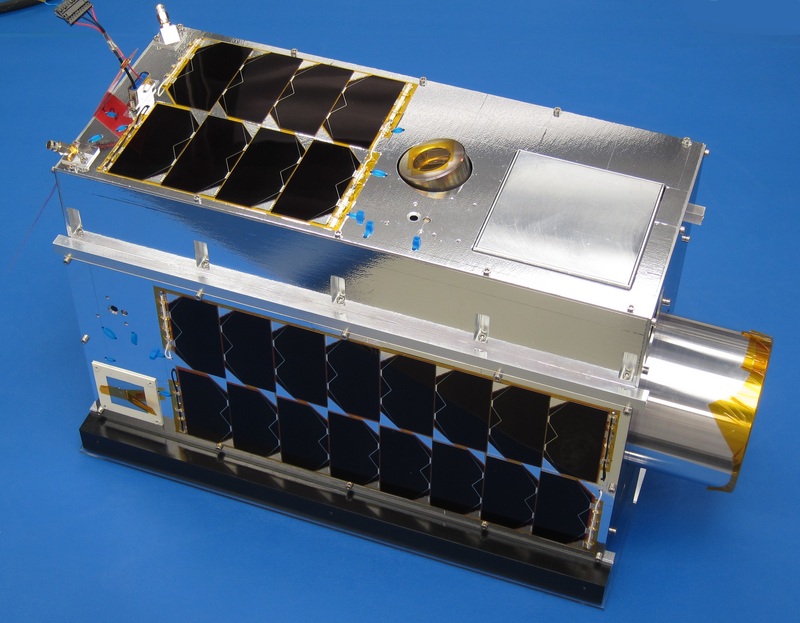 GHGSat-D – the Greenhouse Gas Satellite – Demonstrator, nicknamed Claire – is a microsatellite mission of GHGSat Inc. and the University of Toronto Institute for Aerospace Studies Space Flight Laboratory. The primary goal of the 15-Kilogram spacecraft is demonstrating a next-generation greenhouse gas monitoring payload capable of fitting into a small satellite platform for use in future greenhouse gas monitoring missions for tracking atmospheric gases relevant in climate change studies. 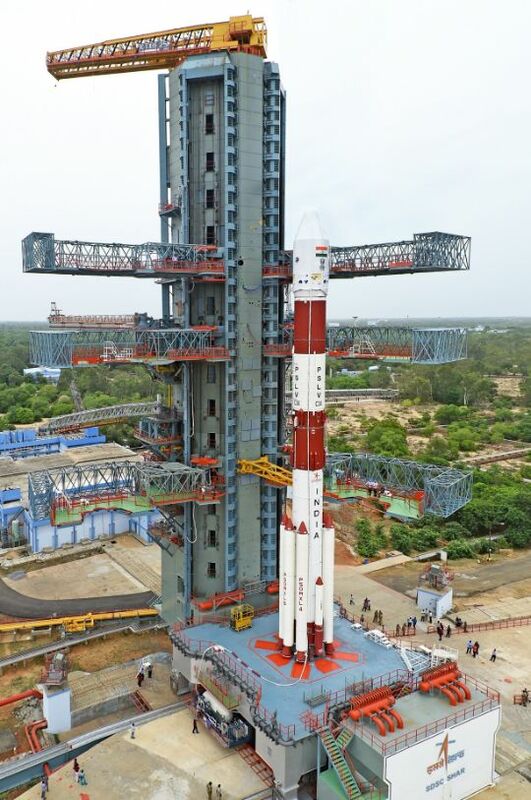 GHGSat Inc. is aiming to develop the satellite concept into a commercial venture to become a leading provider of remote sensing data of greenhouse gas (GHG) and air quality gas (AQG) emissions from industrial sites. A number of larger industrial partners have provided funding for the project and several customers for this type of data have already been acquired. The GHGSat-D satellite hosts a Miniature Hyperspectral Short-Wave Infrared imaging spectrometer and a secondary cloud and aerosol-sensing instrument. Species observed by the satellite are Carbon Dioxide and Methane with oxides of Sulfur and Nitrogen to be detected by follow-on satellites. GHGSat hopes to reach a better accuracy than comparable instruments at a fraction of the cost with the added advantage of being able to deliver near real-time data products once the satellite constellation is operational. GHG and AQG measurements are relevant for a number of industrial sectors with many industrial facilities around the globe having to adhere to emission caps which requires operators to track emissions using different methods. Precise and repeated measurements from point sources such as individual stacks of an industrial complex will enable continuous monitoring at much lower cost than indirect estimation processes currently in use as industry standard. 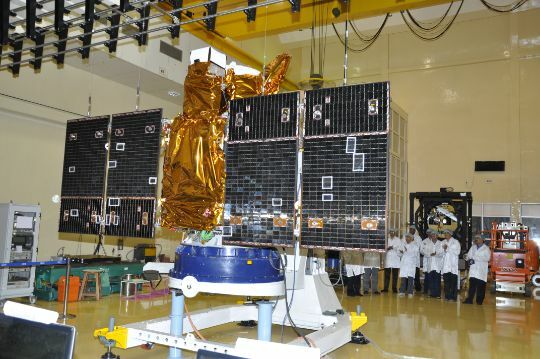 The GHGSat-D satellite is based on the Nemo-V1 satellite platform, measuring 20 by 30 by 40 centimeters in size with a mass of around 15 Kilograms. Power generation is accomplished with body-mounted solar cells and three 26 Watt-hour Li-Ion batteries deliver a nominal operating voltage of 12.3V regulated to 5 and 3.3V for distribution to satellite systems. Reaction wheels and magnetic torque rods are employed for precise attitude control to ensure accurate pointing to observation targets. 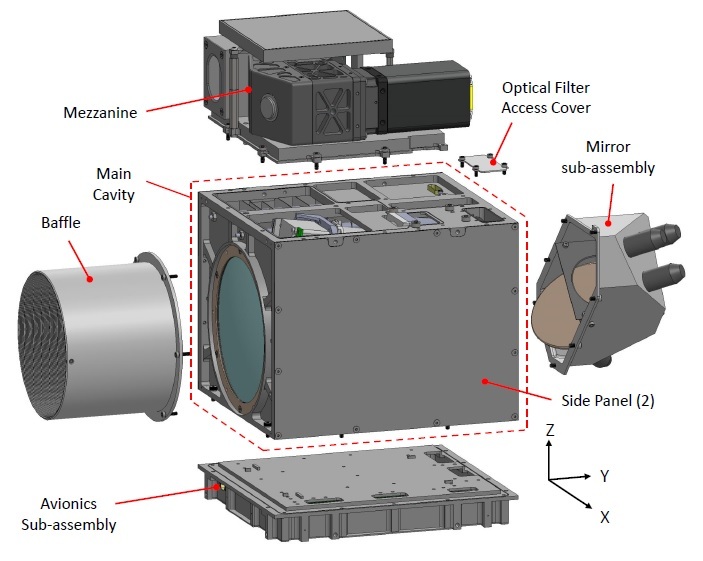 The primary GHGSat payload is a Miniature High-Resolution Imaging Spectrometer developed by MPB Communications Inc., Pointe Claire, Québec, Canada. The compact instrument is just 36 x 26 x 18 centimeters in size and weighs 5.4 Kilograms, suitable for small satellite missions. 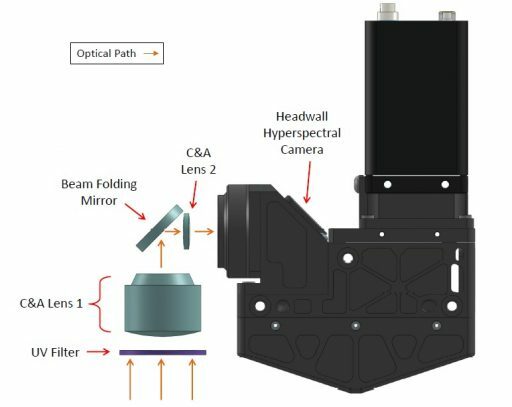 The SWIR payload makes use of a Fabry-Perot Interferometer. The Fabry-Pérot-Etalon is comprised of an optical resonator consisting of a single plate with two parallel reflecting surfaces. Light passing into the instrument can only pass through the system when its wavelength corresponds to the resonances of the etalon that creates a narrow-band spectrum on the focal plane that is precisely tuned to the CATS wavelengths in order to create a high-resolution spectrum of the Doppler shift inherent in the backscattered signal. 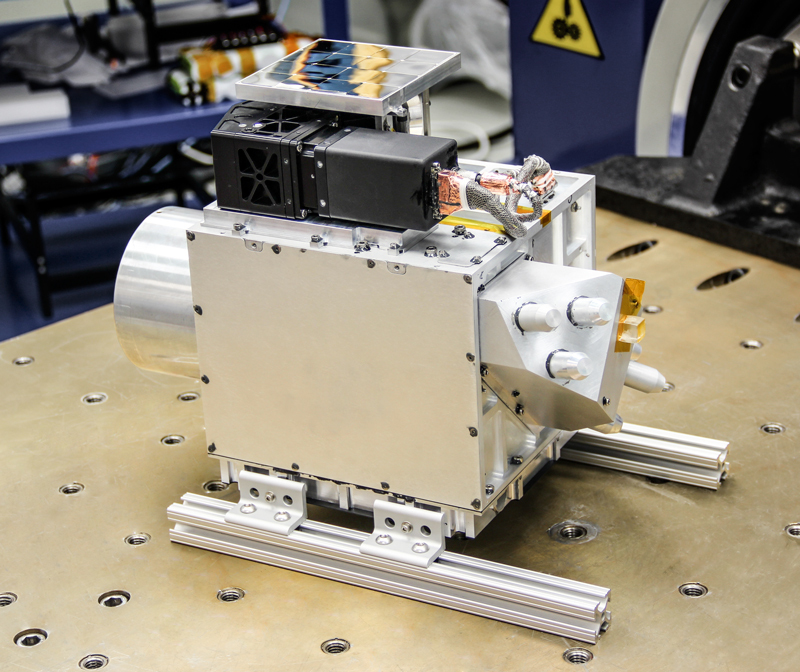 The SWIR instrument can operate from -40 to +80°C and achieves a spectral resolution of 0.1 nanometer and a spatial resolution of under 50 meters, covering a 15-Kilometer ground swath. A second payload hosted by GHGSat-D is a Cloud and Aerosol Instrument comprised of a UV filter, three-lens optical assembly and a Headwall micro-hyperspectral sensor with a diffraction grating acting as the dispersive element. It covers a wavelength range of 400 to 1,000 nanometers with a spectral resolution of 1.9 nanometers. The C&A Instrument covers a 30-Kilometer ground swath and reaches a spatial resolution of under 150 meters. GHGSat-D aims for an operational orbit 505 Kilometers in altitude (circular) at an inclination of 97.5° with a Local Time of Descending Node of 9:30.